MVT T-Shirts! Fundraiser to expand the new CQB Site! There are several spots (4) open on the September 15 – 18 Rifle Skills / Combat Team Tactics (CTT) 4 or 3 day class. 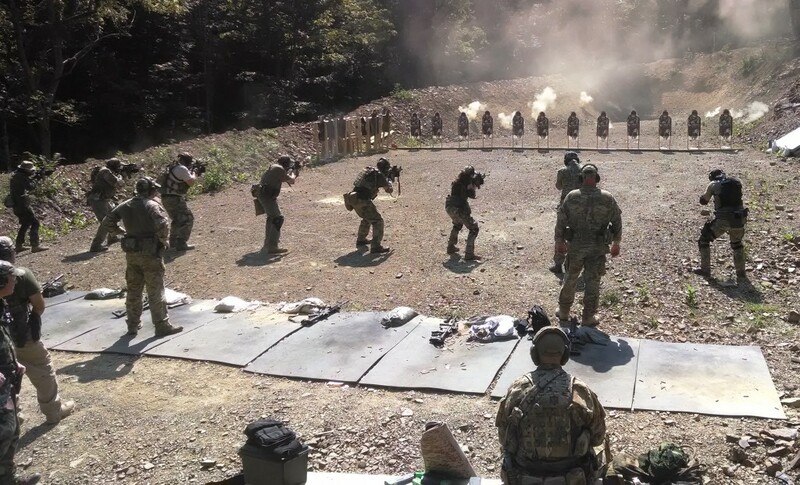 October 1 – 2 Force on Force Team Tactics has 2 more spaces available, to make a total of 18, and more on the preceding Run n Gun / CQB event on Friday 31 September. October 13 – 16 Combat Patrol is running at the new 4 day format, and has several remaining spots available. CTT Alumni for this class only please. October 27 – 30 Rifle Skills / Combat Team Tactics (CTT) 4 or 3 day classais already down to 4 slots only remaining. The November 12 – 13 Force on Force Team Tactics weekend has been removed in favor of a private class. So for Force on Force, you have October 1 -2, or wait till the new schedule is put out for 2017. Given Texas Classes in late Februray / early March, and Idaho (not yet on the schedule) likely in May, you may be waiting till April / June for new classes. That includes CTT, November 17 – 20 and December 8 – 11 being the last two scheduled for 2016. If you think bad things are likely to happen, what are you waiting for?